Relationships are what drive business success. Across the board with clients, prospects, your boss, your assistant, not to mention family and friends. Communication is the largest single factor that determines these relationships. Asking and listening skills are what fuel effective communication. 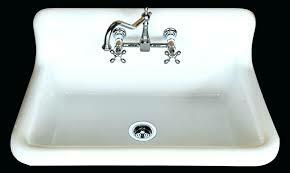 Kitchen Sink Coaching will help you refine and perfect your asking and listening skills. Motivation: Pinpointing what’s important to you. This is essential to establishing your end game, so we’ll devote the time to digging deep. Accountability: Yours, that is. Both to me and to yourself. I will hold you responsible for agreed outcomes to the nth degree. There may be an excuse I haven’t heard, but I doubt it. Only serious contenders need apply. Challenges: Abound. Together we’ll push and push, and then push a bit more. Questions: As in which ones matter and how to go about asking them. You’ll discover what’s available for the asking and what prevents you from asking for what you want and need. Many times those needs are latent. In other words, they are there but you don’t recognize them. Listening: Is the key to understanding. Learn why and how to improve your listening skills. Do you listen in order to uncover the needs of others or are you just biding time before inserting your insights and experiences? Pushing the Envelope: My coaching style is somewhat unconventional. Challenging without being too serious. Passionate yet practical. Straightforward and humorous. I may take a different approach with each client, but one thing is certain: your comfort zone will be redefined. Hiring me is not exploratory. mentoring relationships with me over the past 20 years. Their results have been extraordinary. We’ll tailor a program that best meets your needs and budget.